Once you open the website, it gives 2 login options, 1 for TML Dealers, and 1 for TML Users. I guess one has to click on TML User and select "New TML User" to create their login ID to be used on the website. 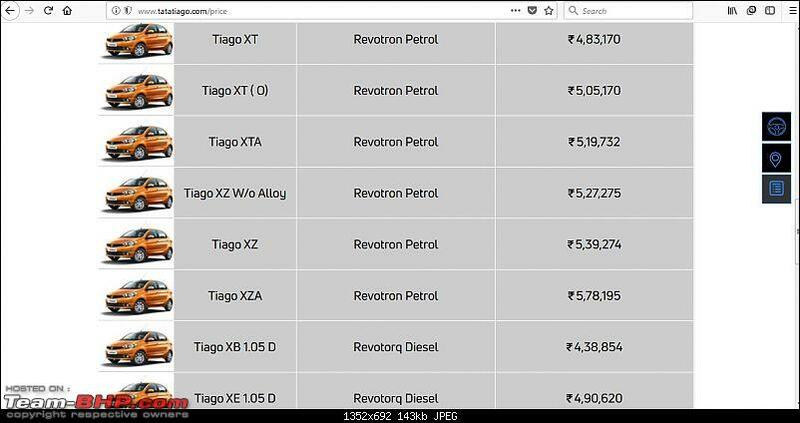 I do not own any Tata car with such a system, so not sure. Thought it'll be relevant to others in the group, so shared. It needs approval for a new id too. This portal is strictly for folks inside TML and the dealers. On public demand or on running short of supply? Carwale shows a separate version of Tiago XZ without alloy wheels as a different variant. This wasn't done before when owners were given discounts against opting in for steel wheels. If this is the case, it brings Tiago back with in the VFM game and with a bang! (It anyway was, but slowly rising prices were making it lesser VFM). IMHO, it's a nice and welcome move! Can any member confirm the same please? The dealership called me earlier today to inform me that 2 items have arrived - the under-bonnet insulation hood and the 5th (spare) full-sized alloy. I went over to check the hood in the afternoon, and here is a snapshot of the price tag which contains the part number. 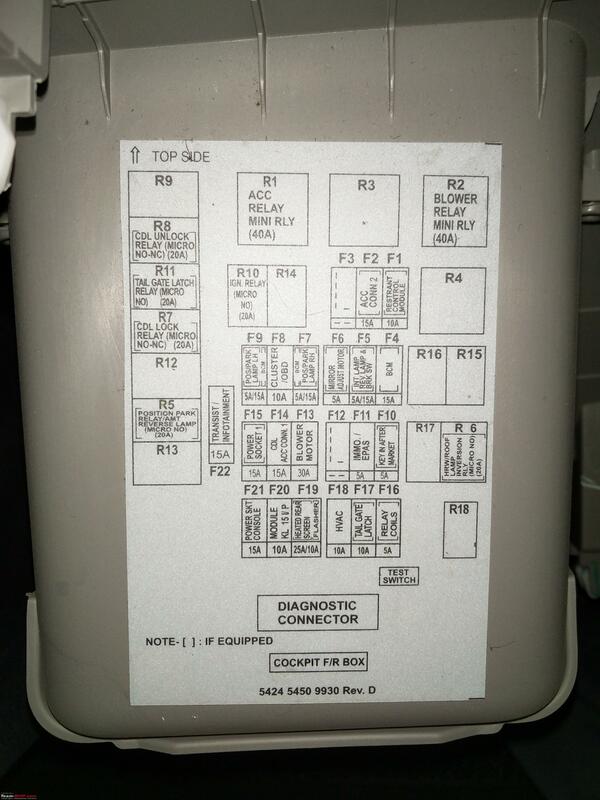 Thanks for sharing the part number & the price. One of my cousins owns a November 2017 Tiago XT petrol & I don't think his car has the under-bonnet insulation. His model being the XT also doesn't have a Day & Night IRVM, this feature should have been made standard across the whole range (his outgoing 08 spark PS had this feature). Anyways we did ask the SA to fit the D/N IRVM from the Tiago XZ variant, to which we were told that they are not allowed to fit parts from a different variant . 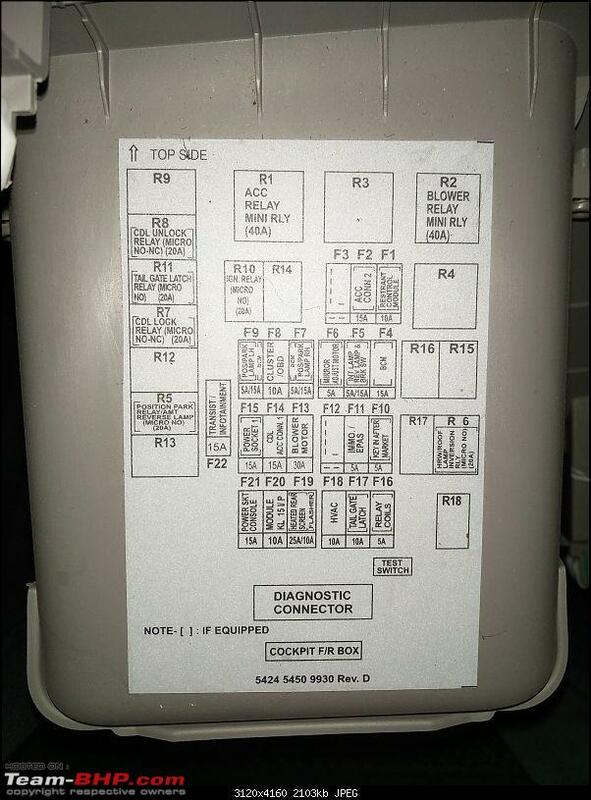 If possible, can you please find out the part number of the D/N IRVM? It seems that Tiago has two XZ variants since a few months, attaching a screenshot from the official Tiago website. It also seems that the price difference between the two models is only 12k, 4 alloys for 12k looks very reasonable to me. Last edited by chiranjitp : 4th February 2018 at 00:59. You should be able to fit it yourself with just a screwdriver. Disclaimer: I'm not responsible if it's the wrong part. Please confirm with boodmo support. Last edited by greenhorn : 4th February 2018 at 10:24. 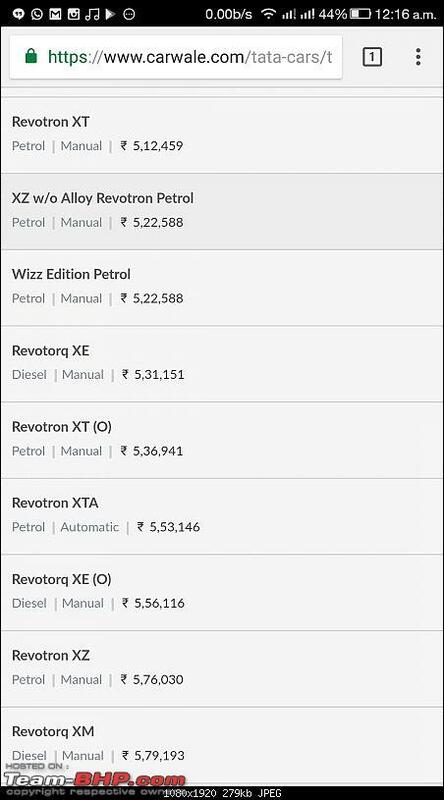 IMO, this option is available from day one and when I got the car in December 2016 without alloy option was available and the price difference was around 14K. I opted for the with alloy option. This option was created after there was a fire at a supplier factory somewhere in Gujarat, IIRC. This was done to keep the cars moving off the showrooms. I wonder why they have kept it on. In Bangalore the price difference between with and without alloy wheels is almost 30k now. It was 25k in May when I bought my Tiago. 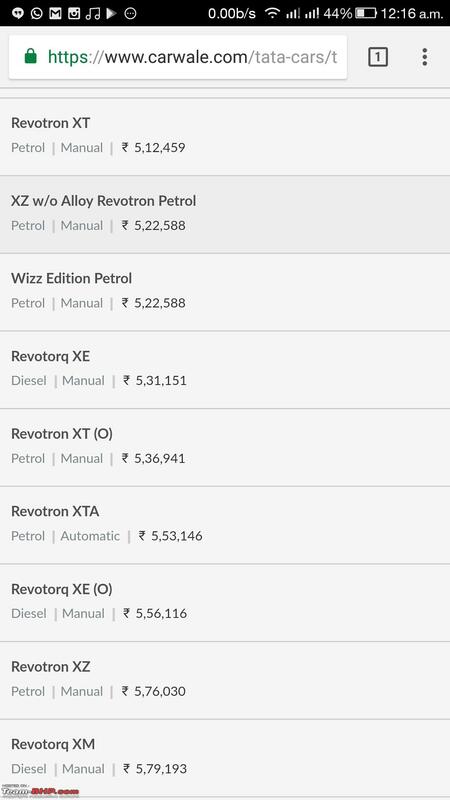 The additional cost is actually what Tata charges for a set of 4 alloy wheels. The price difference is quite too much in Udaipur. If I had to put my money, I'd have gone ahead with the steel wheel version. 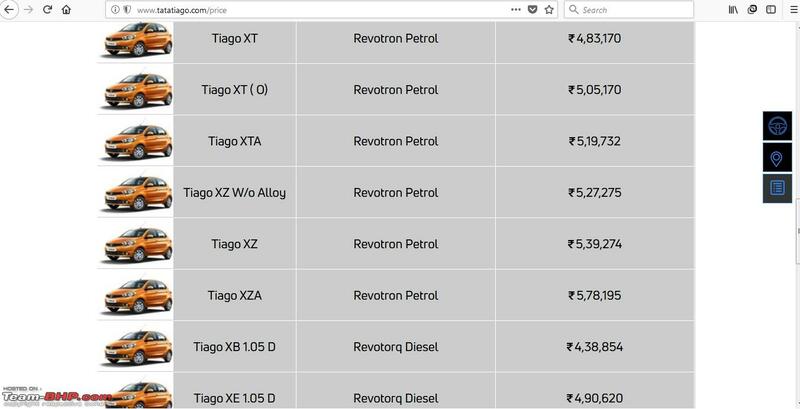 Tata sold 8287 Tiagos in Jan 2018 and enters in to Top 10. One of my friend recently got his Tiago XZ RT after a waiting period of 3 months . He took it to lonavala from Pune. Total Odo reading till now ~500 Kms. He said that after he drove it at high speeds there was some kind of burning smell(like electric wire burning) inside cabin. This happened every time he drove at a particular high speed. Anybody else facing this problem in Tiago RT?? Is it something to worry about or is it usual for initial runs?? Did your friend get any resolution and root cause analysis of the burning smell ? I have a Tigor XZA and seem to get this burning smell when going above 80kmph or revving the engine hard. I got this too in my Tiago from Dec2017. I did not bother much as I assume this is from some insulation or coating that has been used on the engine which at higher temperature starts emitting this smell. I am hoping that this will fade away as the car ages. Do you still get this smell with your 3 year old Zest? I hope not. Hope this might be the right place for the query I have for my Tiago. If not, then mods please move it to the right place. I wanted to upgrade the IRVM on the car to autodimming and got all the details for the same. Thanks to Anurag and his detailed thread. 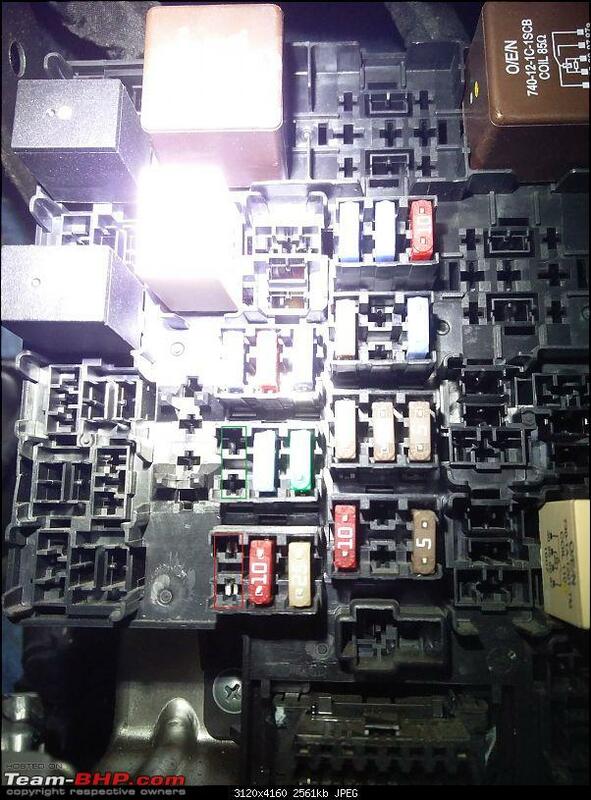 Now please tell me if I am blind or does Tiago's fusebox empty slots does not have any wiring from the battery? 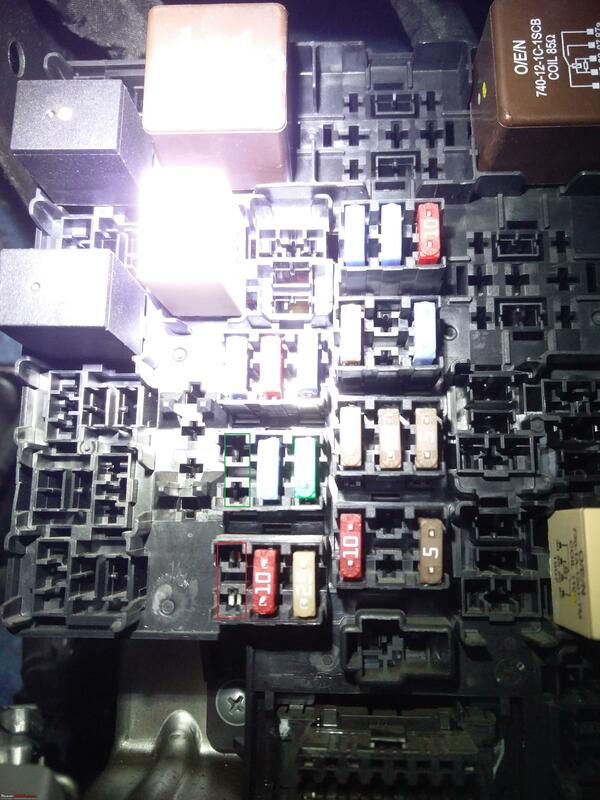 As I am not able to pull any power using the empty slots for power socket, etc. The red box (F21) is live and green (F15) seems empty. Can someone confirm if this is how it is? I had to tap my IRVM with the power socket fuse of F21. I am also thinking of putting a DRL but not sure which fuse should I tap. Tata Motors has apparently discontinued the Striker Blue colour shade for the Tiago hatchback and the Tigor sedan citing lack of demand, as per dealership sources.